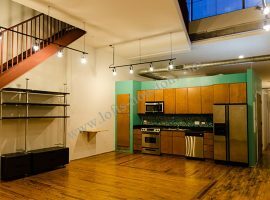 If you are searching for lofts in Houston, and want to focus your search on Downtown Houston, lofts in Medical Center are worth investigating. 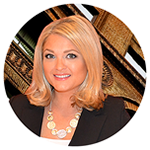 Medical Center condos for sale can accomplish two things. In the first place, it puts you within moments of the actual Downtown area, which many longtime Houston residents will tell you is the best way to enjoy Houston. In the second place, it allows you to enjoy extraordinary luxury in condominium loft living. 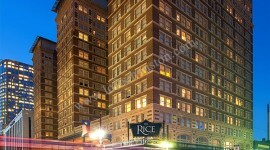 Mosaic on Hermann Park is a great example of Medical Center condos for sale. This is a great way to not only have an extraordinary place to call home, but to also have the constant opportunity to enjoy Downtown Houston and the Medical Center area in general. 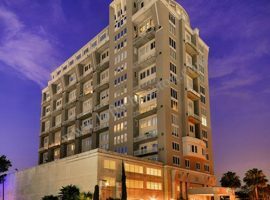 When you know a building’s name is “Museum Flats”, you know that the high rise lofts near Texas medical center will be one of the best that the market has to offer with the best facilities. On name value alone, Medical Center may not sound very exciting to you at all. Don’t let the name fool you. Medical Center is a thriving, thrilling component to Houston. You’re going to find yourself within a reasonable distance to Southwest Freeway, South Freeway, and Loop 610. 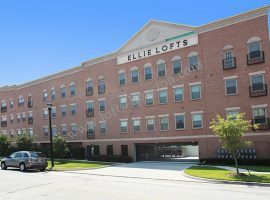 Furthermore, shopping around for lofts in Medical Center also means you’re going to live within a reasonable proximity to such Houston essentials as Museum District, West University Place, Rice University, and Midtown. 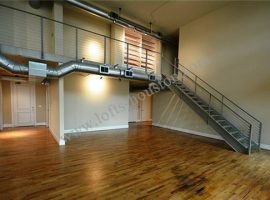 You’re also going to love the fact that the lofts in Houston found in Medical Center puts you right in Houston’s Inner Loop. In other words, for things work, school, and adventure, you’re going to be in one of the best places possible. The lofts and condos of Medical Center are well worth getting excited about. There are tons of possibilities to consider, with Mosaic on Hermann Park being one of the most popular. Located at 5925 Alameda Road, Mosaic on Hermann Park is a great example of the deluxe features and varied amenities that give you a definitive, all-encompassing experience of what it’s like to live and work in Downtown Houston. Besides the fact that living here puts you within walking distance to a plethora of restaurants, golf courses, bars, parks, nightspots, and more, Mosaic offers two tours, with nearly 800 condos available. Hardwood flooring, windows that go from the floor to the ceiling, granite counters, designer bathrooms, and a variety of floor plans. 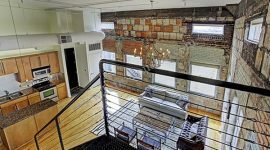 These lofts in Medical Center are ideal for one or two people, as much as they are ideal for small families. Amenities are definitely a big plus with these Medical Center condos, considering you get concierge services, valet-parking, swimming pools, outdoor hot tubs, saunas, a private balcony, business/conference rooms, social lounge/rec areas, wellness areas, and a great deal more than that. Furthermore, Mosaic on Hermann Park also wins points for offering a short commute to both Downtown and Uptown Houston. You’re also going to love the fact that you are just a heartbeat away from the stunning Hermann Park. Considered to be one of the best parks in Downtown Houston, Hermann Park offers gorgeous outdoor surroundings, history, a wide variety of seasonal activities, and so much more. It is one of the best things to do in Medical Center. It is just one of the perks you can enjoy through living at Mosaic. Mosaic on Hermann Park is a great example of lofts in Houston. However, it’s not your only option within the Medical Center area by any means. Warwick Towers is another great example of the lofts in Houston, with the focus on lofts in Medical Center or Medical Center condos. 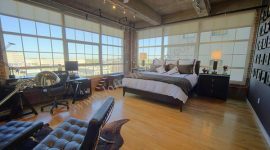 This loft in 77004 puts you close to a number of Downtown Houston/Medical Center essentials. The condos themselves offer luxury floor plans with such amenities as concierge, pools, valet parking, tennis courts, and much more. 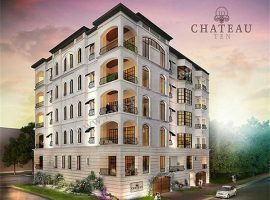 Serento Condos and The Spires Condos are just two more of the possibilities that are available to you. The Medical Center area in a general sense is worth mentioning again. If you are moving to Houston for the first time, and you are considering Medical Center condos, take a moment to visit the area itself. You’re going to be near neighborhoods like the Museum District, Montrose, and Braeswood. You’re going to be a near tons of schools, restaurants, bars, parks, sports arenas, galleries, museums, and everything else you need for a complex metropolitan experience. Perhaps most significantly of all, you’re also going to be living in the heart of one of the great medical institutions of the United States. The Texas Medical Center (also known as the TMC) presents a vast establishment of healthcare, education, and research. It is also a significant center for employment.